Wearable technology is the buzz term in the tech industries right now, with a variety of smartwatches, smartglasses, wristbands, VR headsets and AR hardware either already on the market or deep in development. One firm in the sector is Razer, having developed the Nabu wristband that can be used to monitor your daily activity, as a fitness tool, and for social interaction. But it’s tech that can also be used for gaming. 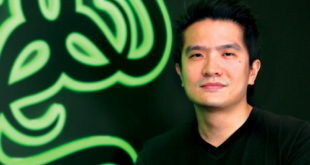 Ahead of the Razer Nabu Hackfest at Apps World Europe on November 12th, we asked Razer developer relations exec Mark Tay exactly how game developers can make use of the Nabu. How can the Razer Nabu be used for gaming? The great thing about the Razer Nabu is its open development platform, which allows developers to get creative with how they can use the Nabu for gaming. For example, things you do in real life such as jogging and sleeping can help contribute to your gaming life. Right now, we’re already working with one of the biggest mobile games in China, Timi Run Everyday, a 2D distance running title which has over 70m active users, where the steps you take, the distance you travel with the Nabu, translate into a distance bonus in-game, or the amount of sleep you get can be exchanged for in-game rewards such as speed boosts or bonus lives. We’re also working with other game developers on adding Nabu’s social features to their games. Imagine a gaming clan meeting up over dinner to plan in-game war strategies – the Nabu can detect all the members in the group present at the dinner and award them bonuses the next time they play online together. Every day we hear different cool and innovative ideas, and we are really excited to see what the community can come up with. Why should game developers consider making content for wearable devices such as the Nabu? There are two different types of game developers that we can address with regards to the Nabu. The first is console and PC game developers. Think about how second-screen interfaces are a great feature for triple-A games these days. How Battlefield 4 has a tablet app that lets the commander plan attacks on a bird’s eye map, or upcoming game The Division that employs a companion app to interact and assist your friends directly. Adding a wearable to a triple-A game will be a fun new way for people to experience their favorite games – some aspect of their offline life will have in-game relevance. Or the other way around: they could be notified on the Nabu’s private message screen when in-game events are about to occur. The second type is mobile game developers. One thing they will be able to do is to make use of the Nabu’s band-to-band communication technology to tie social features into their mobile games. For instance, you could exchange and compare stats with a passerby on the streets, who is also wearing a Nabu and playing the same game. People will be easily able to find and challenge each other. What does the Nabu SDK offer developers? Right now, the Nabu SDK offers developers four key features. First of all there are custom notifications that can be sent from apps to the Nabu’s screen. Developers can use this feature to ping their users with special messages from in-game and so on. The Nabu also tracks data such as your calories burnt, steps walked, distance travelled and hours slept. Developers can have this data streamed directly to their apps. Then there is the Nabu’s band-to-band capability, which we call Pulse, that can detect other Nabu bands in an area of about 10 to 15 meters. This feature allows people to know when other Nabu users are nearby. Developers can use this for social discovery or multiplayer gaming. We also have a gesture recognition feature that can be used to spark communication between users. Developers can initiate requests or trigger events from a high-five between two Nabu users. For example, Nabu users can be rewarded with points in their favourite game for making new friends by high-fiving them – or it could go the other way around and spark an in-game duel between two players. Could you explain a bit about the Razer Nabu Hackfest? What will developers get out of this? This is a great opportunity for developers, whether they are big, small, aspiring or veteran, to work on a platform with a massive outreach to a very specific audience. 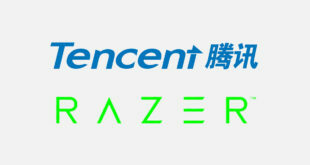 We are also keen to continue working with all developers post-Hackfest to bring their apps to fruition and have Razer’s marketing clout behind showcasing their apps to all Nabu users and potential customers. For more information about Apps World Europe and to register, you can visit the official website here.